12 Junior suites (bedroom + living room). One or two children can be accommodated with their parents. 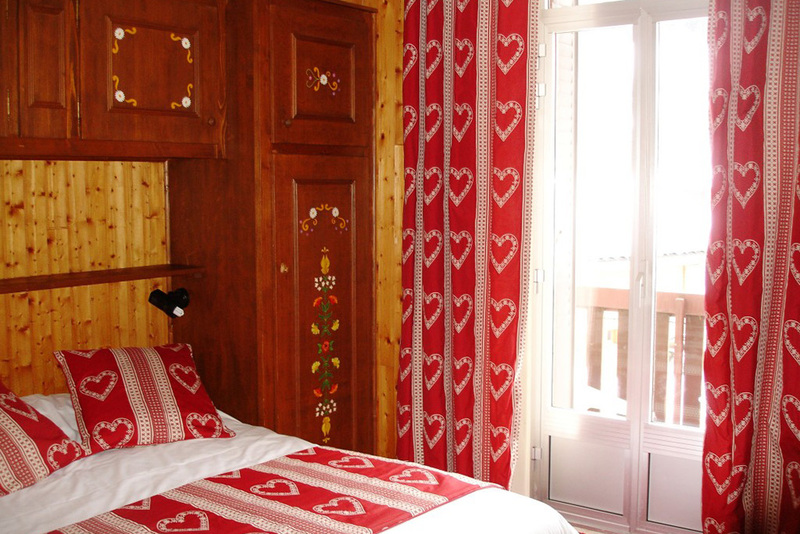 27 rooms with double bed or twin beds. 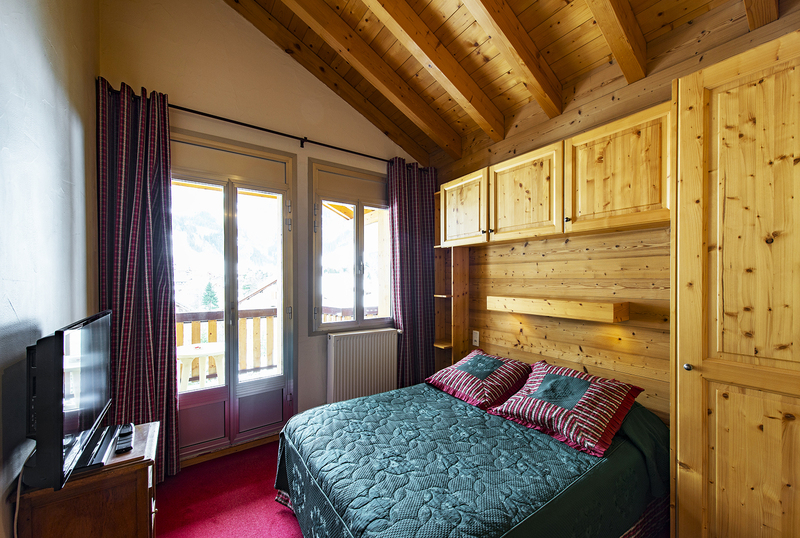 Rental of apartments (4 and 6 persons) in an independant chalet of the hotel (access to the facilities of the hotel). 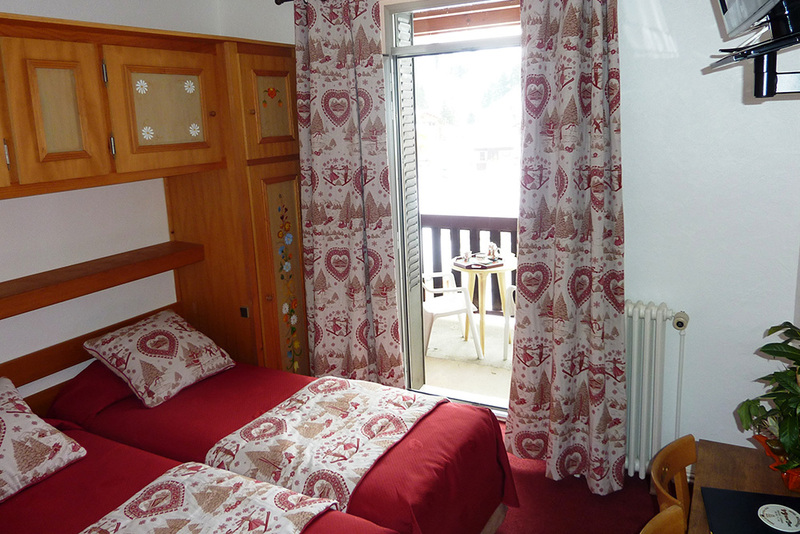 Bedroom with a double bed or two single beds, TV, telephone, safe, wifi, balcony facing west. 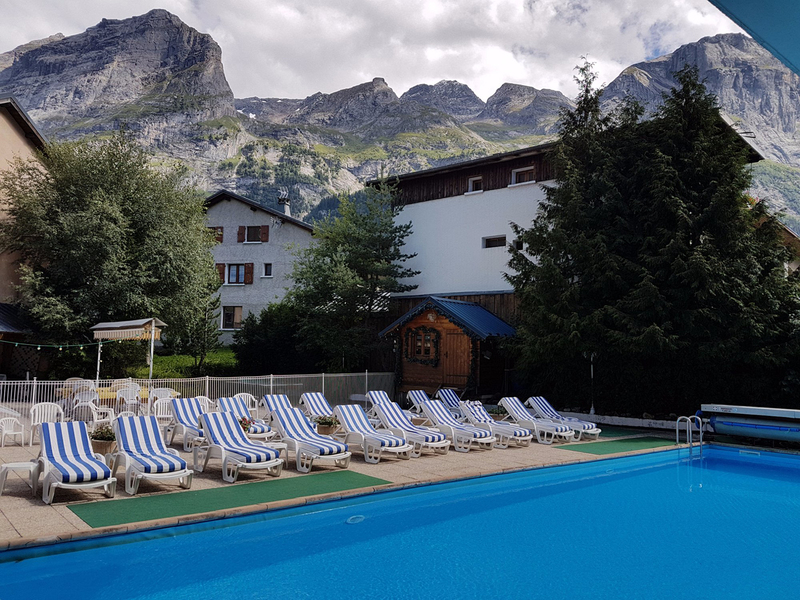 Free access to the spa, the indoor pool in winter, the outdoor pool (indoor pool or the bad weather) in summer. 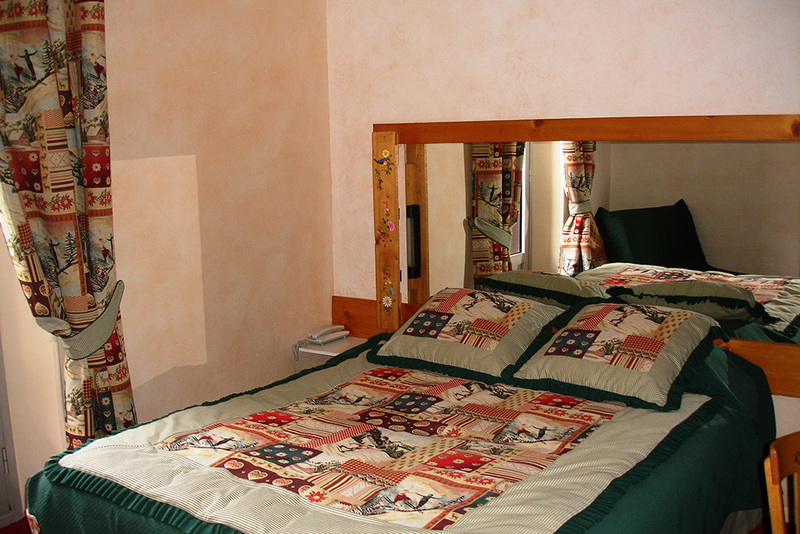 Bedroom with a double bed or two single beds, TV, telephone, safe, wifi, west or east facing balcony. Bedroom with a double bed or two single beds, TV, telephone, safe, wifi, balcony facing east, south or west. Bedroom with a double bed or two single beds, TV, terrace facing south-east. Living room with a sofa, TV, telephone, safe, wifi. For any reservation made without intermediary, directly on our site or with our reservation service, you will benefit from a reduction of 5% to 25%, according to the period, on the public rates. * Best guaranteed rates and promotional weeks are not combinable with any other promotion or loyalty card. In order to secure your booking, we’ll charge a non refundable deposit on your credit card (30% of the total amount). However, if you cancel more than 30 days before your arrival, we’ll propose an extension or your deposit.